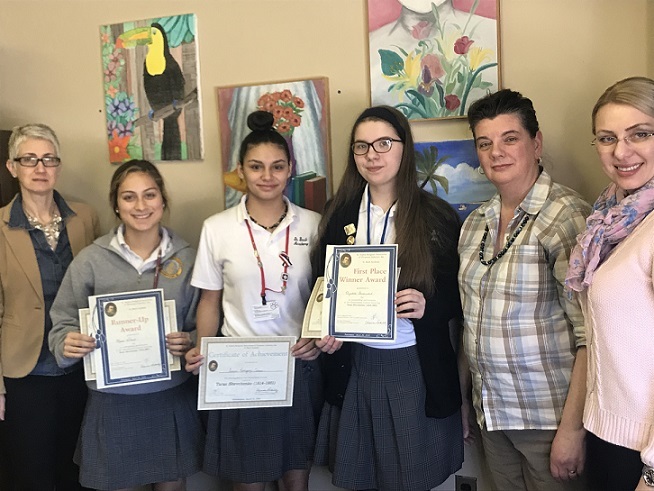 Poetry Recital Contest Honoring Taras Shevchenko – St. Sophia Religious Association Of Ukrainian Catholics, Inc.
On Monday, March 26, 2018, students of St. 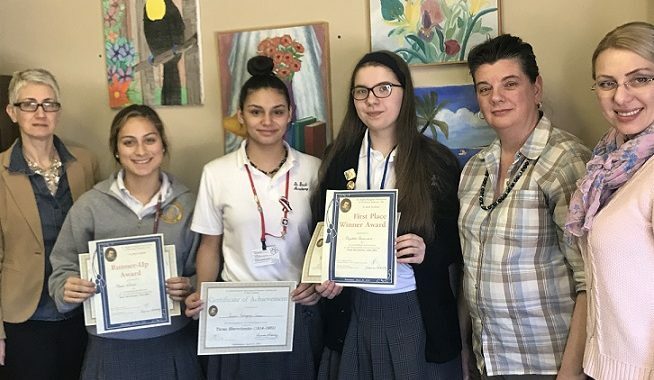 Basil Academy in Jenkintown, PA participated in the poetry recital contest honoring Taras Shevchenko (1814-1861) organized and sponsored by the St. Sophia Religious Association in Philadelphia. The Judges: Iryna Ivankovych, Executive Director of the St. Sophia Religious Association, and Alexandra Penkalskyj, Vice-Principal of St. Basil Academy, graded each performance on the fluency of the recital, clarity of pronunciation, intonation, artistic performance, and expression. The runner-up of the contest was Maria Storck (Gr. 10), and the winner was Elizabeth Gorodenchuk (Gr. 11). When awarding the contestants, Dr. Iryna Ivankovych congratulated them on their participation characterized by “a hot heart and cool head.” All contestants were awarded commemorative certificates and gifts. The main sponsor of the event presented the runners-up and the winners with prizes. This is the first poetry recital contest organized by the Research Center for the students of the St. Basil Academy. Picture (from the St. Sophia archives): Organizers and participants of the contest.